In the late 2000's the Saturn Sky and cousin Pontiac Solstice tried to knock the Mazda Miata off as the king of the two seat convertible hill. Both GM cars and brands met the same inglorious fate as the Mercury Capri that came and tried years before. The base Sky had somewhat tepid performance from its 177 hp 2.4 4 cylinder, but the Redline option included a all new 260 hp 2.0 direct injected 4 cylinder turbo which turned it into a serious performer. The Redline package also included 18" wheels, LSD, and interior upgrades that certainly backed up the car's swoopy looks. The Sky sold 34,415 from 2007-2010 (only 8 units were moved in 2010). 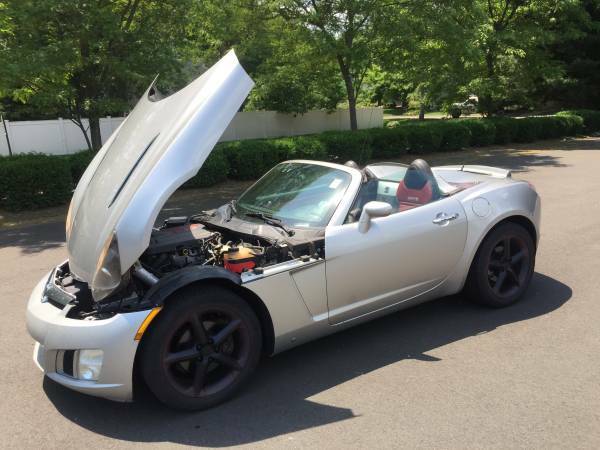 Find this 2007 Saturn Sky Redline for sale in Fairfield, CT for $4,900 via craigslist. The seller notes convertible season is here and that this Sky is ready for a new owner. The car has certainly been used a fair bit as there are 170,000 miles on the odometer. They note the top works perfect and the car runs/drives great. 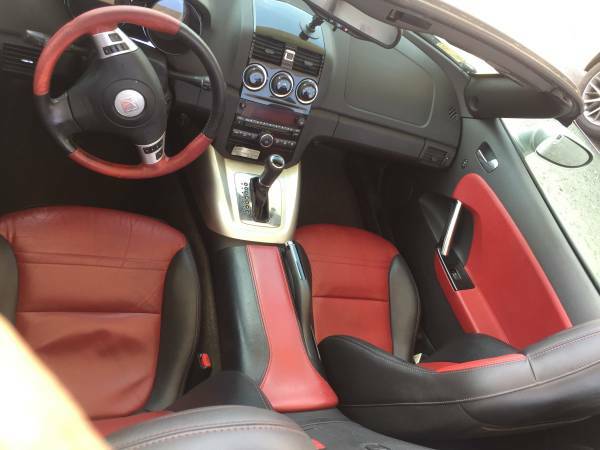 The two tone red/black leather on the steering wheel, seats, and door cars certainly spice up the interior for better or worse. The most interesting part of the Sky was the debut of the 2.0 turbo engine from GM. This same engine is still powering a number of higher end GM cars to this day. The engine was powerful enough to produce low 5 second 0-60 times and 14 second 1/4 times off the shelf. 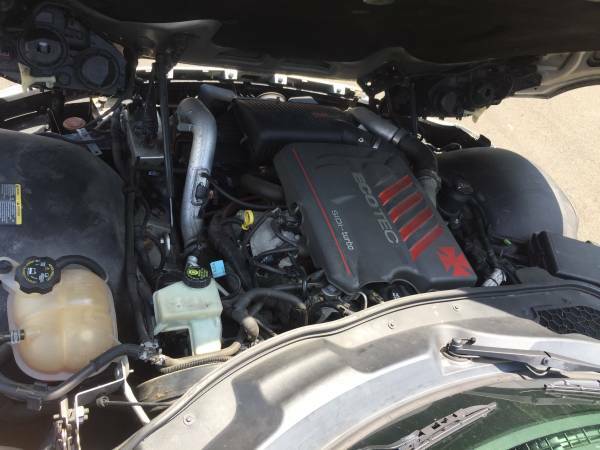 However, you could opt for a GM Factory Tune that turned up the wick to 290 hp and up to 340 lbs of torque for a very reasonable price that did not void the factory warranty. The big knocks on the Sky and Soltice was the clunky to operate convertible top and lack of real trunk space. 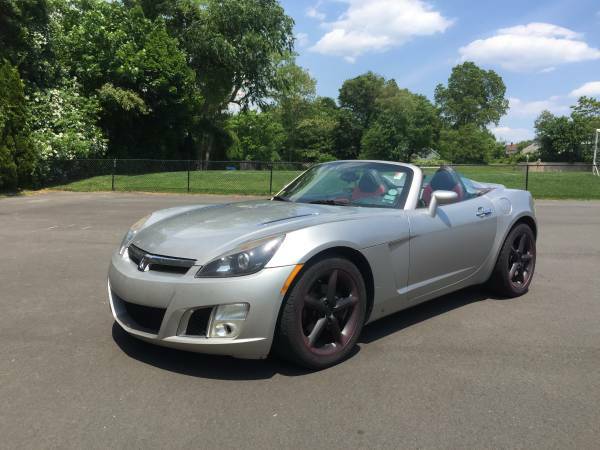 This is the first Saturn Sky I can recall seeing a CL ad for in years. Cory is still waiting on his 1995 Mercedes C36 to be road worthy. With any luck, it will be hitting the pavement before July 4th weekend. It's dead to me with that transmission.